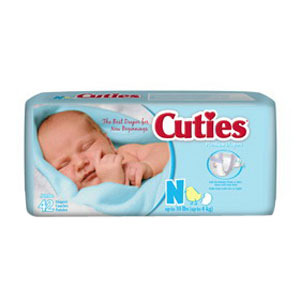 Cuties Baby Wipes. These wipes feature Tri-Form fabric that is thick, strong, and soft. Cardinal Health Personal Cleansing Cloth, Flushable, Fragrance Free, 9" x 13"